Vitamin C is a powerful water-soluble antioxidant with some impressive health benefits. You probably know that taking extra vitamin C can help prevent the common cold and may reduce the severity of a cold if you already have one. But there’s much more to this important vitamin as we’ll see ahead. Interestingly, almost all animals make vitamin C internally since it is so essential to survival. We humans are one of the few that don’t. Long-term lack of vitamin C leads to scurvy, a serious disease characterized by anemia, bleeding gums and skin hemorrhaging. While it’s rare in developed countries, there’s a good case to be made that many people aren’t getting nearly enough vitamin C in their diets to experience it’s protective health benefits. Ahead are five important reasons why it’s worth topping up your vitamin C levels daily and the best natural kind to take. Free radical oxidative damage from environmental and dietary carcinogens, like cigarette smoke or toxic food additives, can lead to genetic mutations in your DNA that cause various kinds of cancers. Vitamin C has been proven to combat free radical oxidization with its potent antioxidant properties. A good example of the health benefits of vitamin C can be seen with the carcinogenic nitrosamines that can be formed when you eat processed meat. Vitamin C supplementation has been shown to provide protection against these damaging compounds, though the best advice would still be to limit your intake of processed and cured meats. Good levels of vitamin C in your diet can help to prevent atherosclerosis, a dangerous condition where your artery walls thicken with fatty deposits. Atherosclerosis is the leading cause of fatal heart disease and stroke, but by improving cardiovascular health, vitamin C may reduce your risk of developing serious heart problems. Vitamin C supplementation has also been shown to improve circulation, particularly in the case of peripheral vascular disease. It may also help for people who experience colds hands and feet in the cooler weather. Improving circulation can benefit virtually all areas of your body as there is more blood carrying nutrients to cells. One of those areas that can see noticeable benefits with higher amounts of vitamin C in your diet is the healthiness of your skin. While improved skin circulation is helpful, vitamin C is also a vital component used in the creation of collagen, a protein that ‘glues’ your skin cells together and helps to keep it firm and young looking. Vitamin C also provides antioxidant protection for your surface skin cells against UV damage that leads to poor skin tone, age spots and fine lines and wrinkles. Topical vitamin C, particularly in a high dose natural moisturizer like this, can be very beneficial for your skin as well, but having a good dietary intake is even more important. Vitamin C is great for detoxification in general, which is part of the reason why lemon juice and water first thing the morning so good for your digestion. To increase your vitamin C intake even more, you could add this special natural form of it to your lemon water. How is Your Vitamin C Made? Vitamin C is water-soluble and cannot be stored in your body. Ideally you should get it from various sources each day. Most people use the standard ascorbic acid found in cheap multivitamins and orange flavored vitamin C tablets. What many of them wouldn’t know is that this is usually produced synthetically from GMO corn processing in China. There is also some question as to just how much of this artificially created vitamin C can be absorbed and many people report irritation with large doses of it. Personally, I’d rather use a different form of vitamin C. One that not only contains large amounts of naturally occurring ascorbic acid, but is also rich in complementary bioflavonoids and other antioxidants. 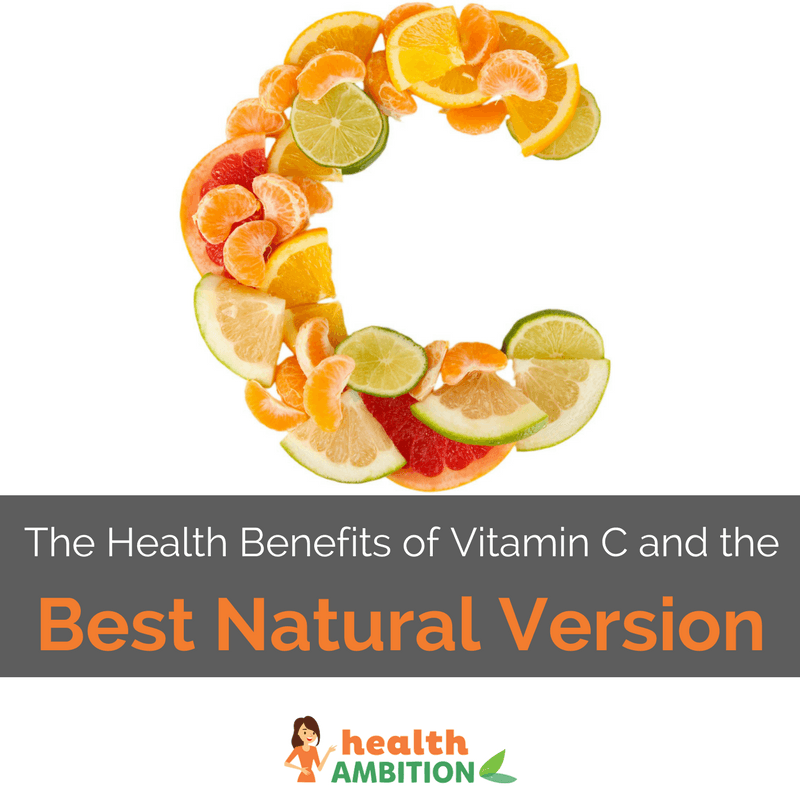 Let’s have a look at what is considered by many to be the best kind of vitamin C that nature can provide. Camu camu is a low growing shrub found in the Amazon rainforest. It produces a small reddish fruit which, aside from being a rich source of minerals, amino acids and other antioxidants like anthocyanins, is the most potent source of natural vitamin C available. Powdered camu camu extract has been measured as having around 100 times more vitamin C than a Florida orange. Both camu camu powder and capsules have become popular in recent years as an alternative to GMO corn produced ascorbic acid and many people have reported a dramatic difference when taking camu camu compared to standard vitamin C supplements. More energy, a reduction in allergies, better skin and less colds are the most commonly listed benefits I’ve read in health forums and comments. These concentrated, spray-dried camu camu extract capsules are particularly potent and convenient to take with meals, to the office or even when out and about. For mixing into a glass of water, or better yet, a superfood smoothie, organic camu camu powder makes a great addition to your kitchen. Just half a teaspoon boosts up any drink with a potent shot of the health benefits of vitamin C.
Have you used camu camu before in the powdered extract or capsules? I’d be interested to hear your results with using this natural version of vitamin C.
I have never heard of camu camu, where is it originally from and is there another name for it? It’s from the Amazon rainforest and camu camu is the common name.